As the conference date is by now very close, only a few sponsor arrangements can still be realized. Please contact the conference manager before deciding on an item. 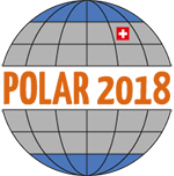 This list contains all sponsorship opportunities that POLAR2018 has to offer, and up-to-date availability information. For further details and the sponsor benefits, kindly look at the sponsorship brochure.